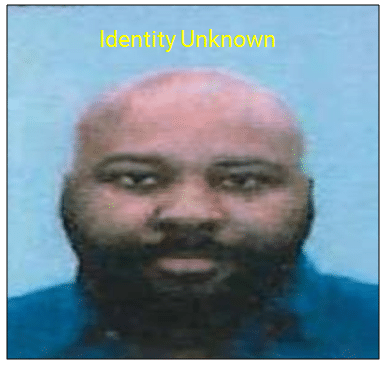 Gwinnett County police are searching for a suspect they say used a dead man’s identity to purchase a car at a Gwinnett County car dealership. On Friday, Dec. 7 a man purchased a 2018 BMW 740 at the BMW of Gwinnett dealership at 3264 Commerce Avenue in unincorporated Duluth. He used a loan to complete the transaction. On Tuesday, Jan. 29, the dealership received a letter from the bank stating that the vehicle was purchased using the identity of a man who had died in November. After the vehicle was listed as stolen, the LoJack system on the vehicle was activated. Shortly before 5 p.m. on the same day, an officer assigned to the Gwinnett County Police Department’s South Precinct located the stolen BMW at a home on Marsh Lane in unincorporated Stone Mountain. The left side of the vehicle was damaged, and it had flat tires. When the officer confronted the resident of the home, he claimed that an unknown woman dropped off the car several weeks prior. The vehicle was impounded. The following day (Jan. 30), a detective assigned to the Motor Vehicle Theft Unit was inspecting the vehicle at the impound lot when he found an insurance card that listed the information from the stolen 2018 BMW 740 along with information from a 2018 BMW X6. He later discovered that the X6 was purchased the same day by a person with a different name. The man who purchased the 740 was listed as the co-signer to the X6. The name on the loan belonged to a person who did not authorize the transaction. The X6 was reported stolen, and the LoJack system was activated on the vehicle. It was later recovered by the Riverdale Police Department. The detective assigned to the case obtained the driver’s license photo of the man who purchased the 740. He is asking for the general public to view the image and help identify him. Police are asking anyone who has information to share in these cases, to contact detectives at 770-513-5300. To remain anonymous, tipsters can contact Crime Stoppers at 404-577-TIPS (8477) or visit www.stopcrimeATL.com. Crime Stoppers tipsters can receive a cash reward for information leading to an arrest and indictment in this case. The case numbers are 19-008974, 19-009591.